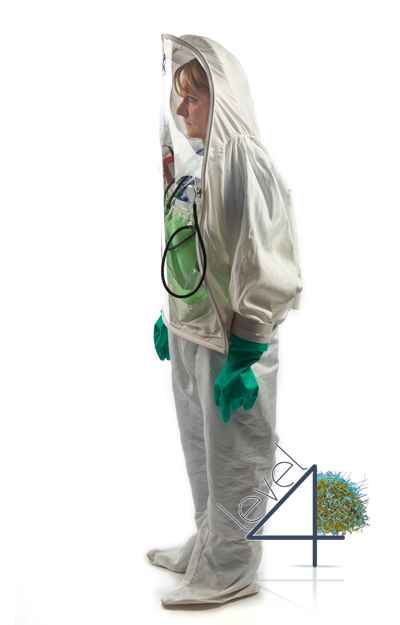 The world is facing the biggest and most complex Ebola outbreak in history.1 Our doctors and nurses are at the very heart of patient care and are at high risk for Ebola contamination while tending to infected patients. 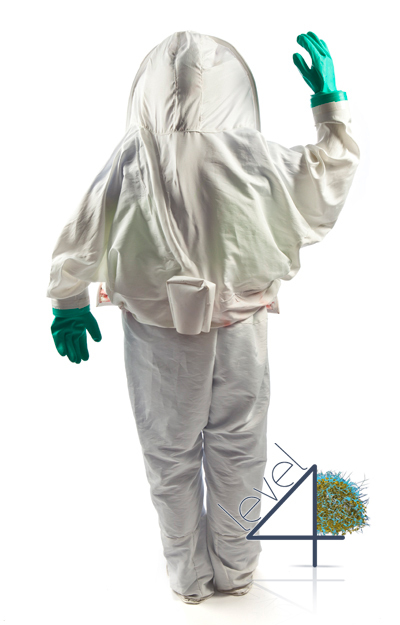 There are multiple reports of the danger of Ebola self-contamination as well as extreme discomfort experienced by healthcare workers wearing the current CDC approved suits. 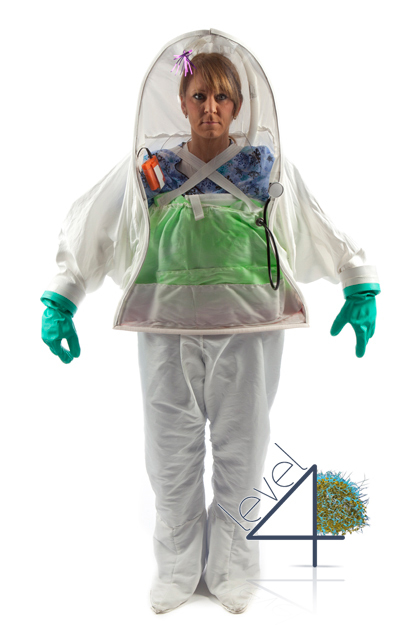 A new approach to bio-protective clothing was necessary to protect our nurses and to help them do what they do best... care for the sick. 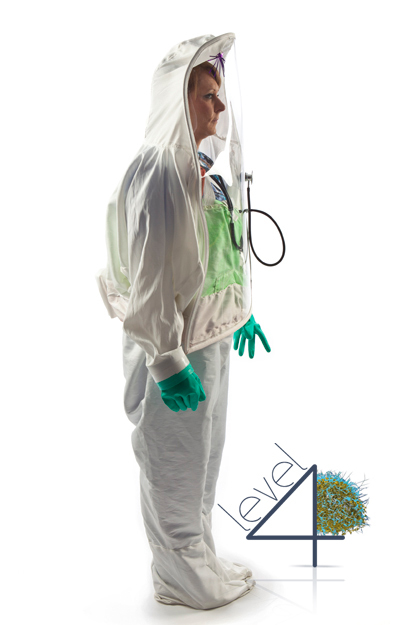 The Level4Suit™ is a revolutionary two piece bio protective suit that provides comfort and safety to the healthcare worker. This new gear provides an air supply blower system coupled with the ability to hydrate (drink fluids), while wearing the suit. 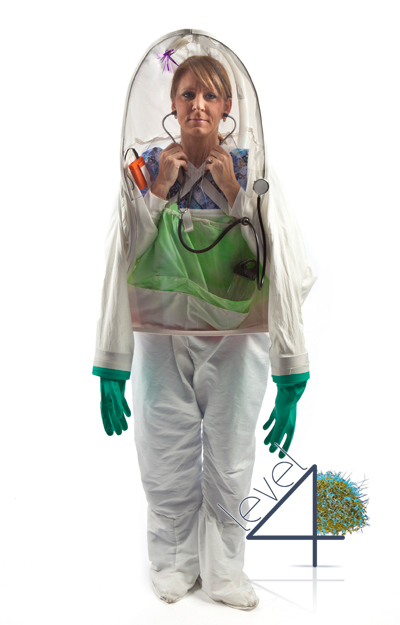 Doctors and nurses are visible through the full width clear vision shield, increasing interactivity. And, putting the Level4Suit™ on and removing it, is a quick and safe, two-step process. *A provisional patent has been applied for.